I think that carrots are awesome! Rich in vitamins, minerals and fibre, carrots also contain plenty of antioxidants, which may be linked to a reduced risk of cardiovascular disease. Their high vitamin A content may help your body's natural defence against illness and infection, while the vitamin C they contain can help to protect cells and keep them healthy. So Happy International Carrot Day! ⅛ tsp ground black pepper. 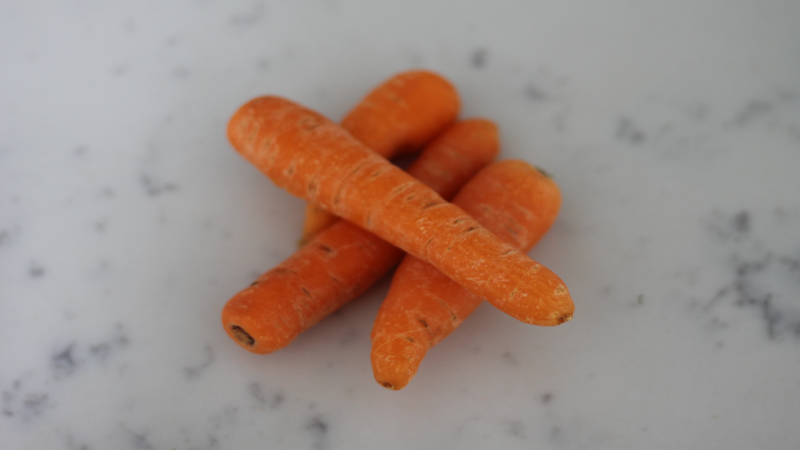 Wash the carrots, sprinkle with salt, place onto a baking tray and bake for 40 minutes. To make the marinade add the seaweed, water, tamari, liquid smoke, maple syrup, vinegar, paprika and pepper and blend. 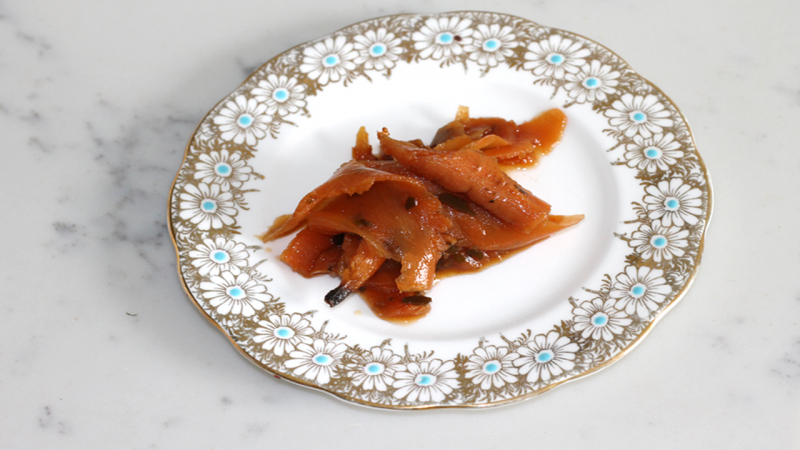 Let the carrots cool slightly before slicing them into strips with a peeler or a mandoline. Put the strips of carrot into a sealed container and rub in a little more salt to taste. Pour over the marinade and leave for at least 24 hours in the fridge. Enjoy in the same way you would eat smoked salmon. Try topping with vegan cream cheese, fresh dill and a little chopped red onion on top of some toasted rye bread. The vegan salmon should keep up to a week in the fridge.